Product prices and availability are accurate as of 2019-04-19 00:22:33 UTC and are subject to change. Any price and availability information displayed on http://www.amazon.co.uk/ at the time of purchase will apply to the purchase of this product. Professor Aubrey Manning, in his introduction to this book says it is "quirky and often quite demanding, but I shall be surprised if it doesn't win many converts." Well it's won me. I grew up for much of my childhood in an industrial town but evening by evening in the days before television could explore the countryside through the medium of the Romany books of Bramwell Evans. (Just now as I wrote this I could go and pick up one of them from the shelf - even though sixty years have passed). 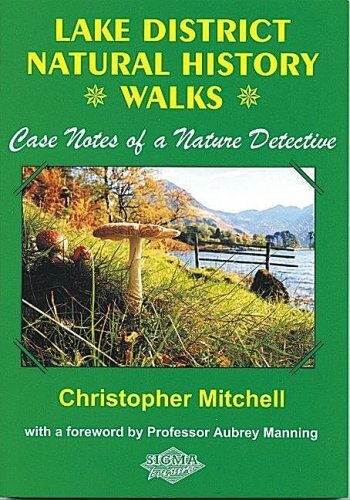 The natural history walks of Christopher Mitchell remind me rather of that style. We walk with him, for example, from Pooley Bridge to meet one of Cumbria's largest trees, the Dunmallard Ash. Or we head toward Kirkstone pass then walk up Dovedale to investigate with him the twisted birch trees, watching as he takes leaf samples to send away for analysis - which seems to show that the strange shapes of the tree trunks are not due to the presence of ancient lead mines. We learn as we go to keep our eyes open, to observe the interesting details of the natural world around us. 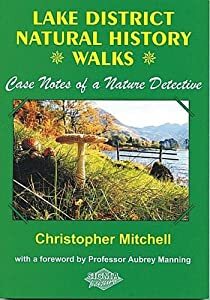 Yes, Lake District Natural History Walks by Christopher Mitchell is highly recommended.